Despite the unmatched box-office success and cultural impact of the Marvel Cinematic Universe, the films’ music, on the whole, is oddly forgettable. The latest video from Every Frame a Painting does a good job of illustrating that, opening with that same “can you hum it?” trick. It also offers a few possible explanations for how things came to be this way. In particular, their video illuminates the practice of using Temp Tracks, wherein a director temporarily uses another film’s score while they edit their film. As many professional film composers attest, directors sometimes wind up so attached to the temp that they basically order their composer to copy it. On stage, Zhou talked about how the Marvel movies seem to be in a rush to have someone begin talking, contrasted with how films like Star Wars often contain lengthy sections (including the introductory text crawl) that are accompanied by nothing but music. That’s actually related to something I wrote about with regard to video game music, a billion years ago when I was a wee Kotaku columnist. The notion then was that much of the most iconic video game music is from an era when there was no voice acting, so composers wouldn’t have to worry about crowding spoken dialogue with their strong melodies. There is one MCU anthem that I really like: Alan Silvestri’s Avengers theme. It’s simple and to the point, but if you asked me to sing it on the street, I’d recite for you the whole thing. All the same, the majority of these films are indeed scored with safe, forgettable music that’s been carefully designed to keep out of the way. Even when the music is strong enough to stand on its own—as seen in that terrific Captain America: The Winter Soldier example at 4:06—the filmmakers seem unwilling to let it be. 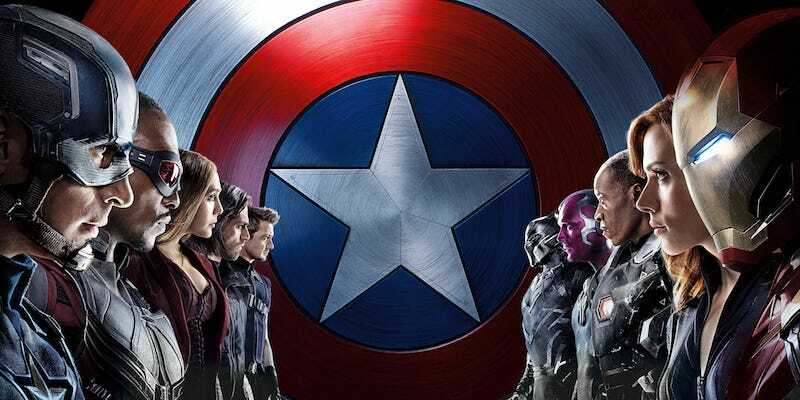 As much as I enjoyed Captain America: Civil War, I remember being disappointed that aside from Cap himself, none of the heroes in the film had their own recognizable musical theme. The climactic showdown could’ve been a wonderful collision of iconic motifs. Instead, I don’t remember a single note.